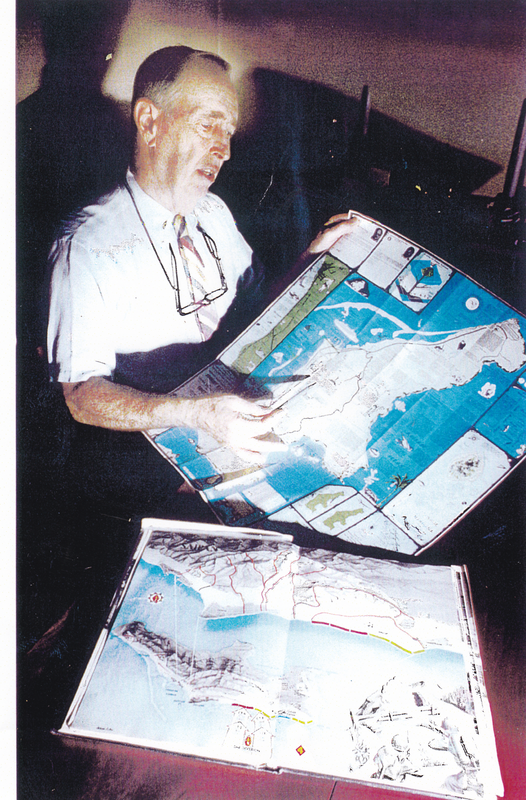 The late Robert E. Wallack was the best known of all the former GIs who came forward to share their eyewitness experiences relative to the presence and death of Amelia Earhart and Fred Noonan on Saipan after the 1987 publication of Thomas E. Devine’s Eyewitness: The Amelia Earhart Incident. I first met the amiable Wallack on the phone in 1992, as he took me back to Saipan in July 1944, when Fate intervened to change his life forever. The former Marine’s story of discovering Amelia Earhart’s briefcase, dry and in perfect condition in a blown Japanese safe, has been the most-often told of all the Saipan veterans, including Devine’s. We became friends, and over the years Wallack generously sent me all manner of fascinating memorabilia, including copies of his honorable discharge papers, maps of Saipan, battle photos taken during the invasion, letters from other GIs with their own stories to tell, videotapes of his TV appearances, and news articles. But most Americans still haven’t heard his incredible account, and his story needs to be heard by everyone. The below article appeared in the August 2002 issue of Neighborhood News, a monthly publication of the Communications Division of the Nuclear Energy Institute, a nuclear industry lobbying group in the United States, where Bill Wallack, Robert’s son, was employed as a writer from 2001 to 2005. My father never talked much about his experiences during World War II in the South Pacific, even when prodded by one of his six children. Whatever these horrific memories are, they were never discussed with my mother, either. One only has to sit through “Saving Private Ryan” to assume his tour of duty must have been hell on Earth. However, there is one story we all heard repeatedly from an early age and vowed never to forget. He and a group of fellow members of C company, 29th Marines, entered what appeared to be a Japanese municipal building on Saipan while souvenir hunting. They found in the rubble a safe that they blew open. He took a leather attaché case from inside the safe. The contents were maps, passports and visas, permits and reports concerning Amelia Earhart’s flight around the world. Dad believes they offer clues about the truth of what happened to her – a truth he believes some may not have wanted the world ever to know. Certainly, every teenager right out of high school who entered the war was familiar with the many amazing accomplishments of the world-renowned aviatrix, not the least of which was her being the first woman to fly across the Atlantic in 1928. The Marines on Saipan knew of Earhart’s headline-making exploits. She disappeared after leaving New Guinea on the last leg of a world-spanning flight-another first for a female pilot-in 1937. There was a Pacific-wide search for Earhart and her navigator, Fred Noonan — with Japanese ships participating. 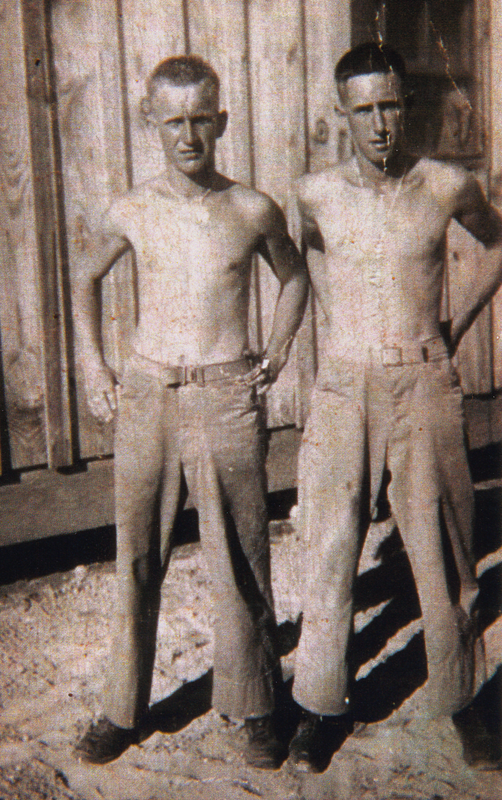 My dad had just turned 18 when he came ashore on Saipan as a machine gunner in the second assault wave on the island. Still, he immediately knew the importance of the official-looking contents of the case and wanted to keep the materials. My dad knew the briefcase and the papers might involve U S national interests. He wrote to my grandmother and told her to watch for a story on Amelia Earhart to appear. None appeared. The “senior-looking” officer wore no insignia of rank, in order to lessen his target value for any enemy snipers. But the officer had “scrambled eggs,” the gilded leaves of authority, on his cap visor. He signed with his service identification number, not his name. Additionally, while on the island of Saipan, my dad was told of a white man and a white woman who were on the island before the war, and he recalled someone’s telling him something about a graveyard. My Dad came upon the Earhart case while scouting around during recovery after having his hand wounded by mortar shrapnel on Saipan. When he got the receipt from the naval officer, he kept it in a waterproof belt along with a rosary and other personal items. Nine months after discovering the Earhart case, he and other surviving Marines from Saipan were shipped to Guadalcanal to prepare for the climactic Pacific fight on Okinawa. 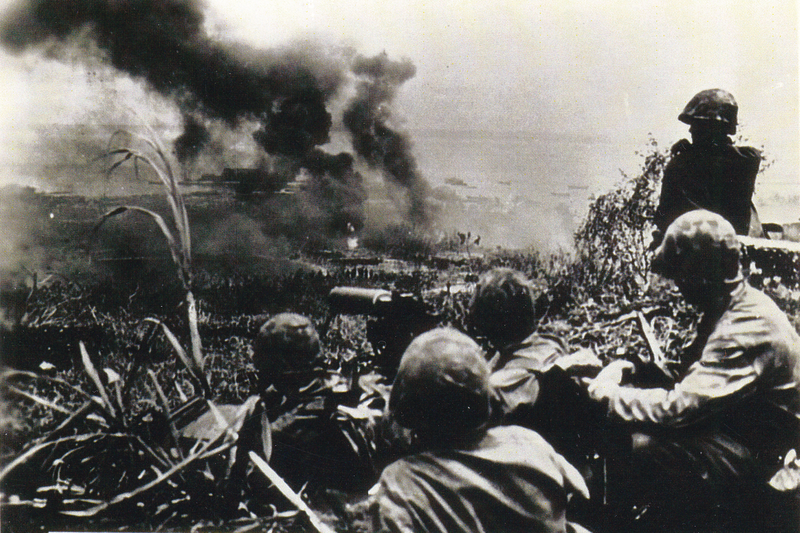 That battle began on April 1, 1945, and my dad fought until he took a bullet in the upper leg in late May. His bloody clothes and the belt containing his personal items and the receipt were cut from his body before he was rushed to a hospital ship offshore. The only proof there ever was an Amelia Earhart briefcase [found on Saipan] was lost 350 miles from Japan. He’s told his tale to the press, historians, The History Channel and others. He has spoken at airports on behalf of women’s groups who continue to tout the achievements of Amelia Earhart. More recently, in June , he was invited to Annapolis [Md. ], where he made a two-hour tape for the Oral History Unit of the Marine Corps Historical Center and was interviewed by fellow Marine and historian, Lt. Col. Gary Solis. Getting his story into the Marine Corps archives meant a lot to him after almost six decades. He is now in his seventies. “I’m happy because it records my plain and accurate account of what happened and what I touched and saw,” he said. He also gets excited when he hears from fellow Marines. Like when he sent me a copy of a letter to the editor of the Cincinnati Post-Journal from September 1999 that read: “l don’t believe Amelia Earhart and Fred Noonan disappeared around Howland Island. Why? My dad is realistic He knew the officer he turned the Earhart belongings over to was also fighting a war. He might have died or gone down with the Earhart papers, he said. He does believe, however, that Earhart might have had an official mission. He believes the native islanders and the researchers who claim that a white woman and a man were jailed, shot and buried in a Saipan cemetery. 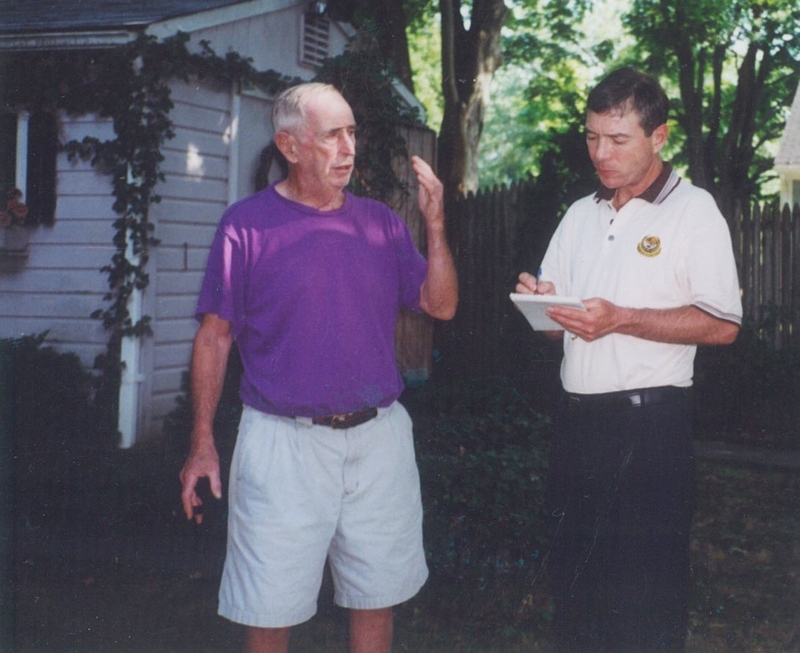 In the back yard of his lovely home in Woodbridge, Conn., in June 2001, the gregarious, always accommodating Wallack, recalls another of his 1944 Saipan adventures to an interested observer. “The Japanese were expanding bases all over the Pacific in 1937,” he said. If she came down in the ocean, the Japanese naval fleet had work ships and barges that could easily retrieve the plane and its pilots. My dad says time is running out on people who can support that theory. On Saipan today, the islanders have turned much of their heritage over to the Japanese casino industry. In November 2006, the Amity Observer, a small Connecticut newspaper, featured Wallack in a huge front page spread with a four-column color photo, holding a vintage July 1937 copy of the Chicago Herald-Examiner with “Hear Amelia’s Faint Calls” splashed across the top. In the story, Wallack added a grisly detail to his original statement about his approach to the Saipan beach, when his unit came ashore near the sugar mill at Charon Kanoa. I last saw Robert Wallack on the day after Christmas 2002. He passed away in July 2008 at eighty-three, but he will always be remembered by all who care about the truth in the Earhart disappearance.